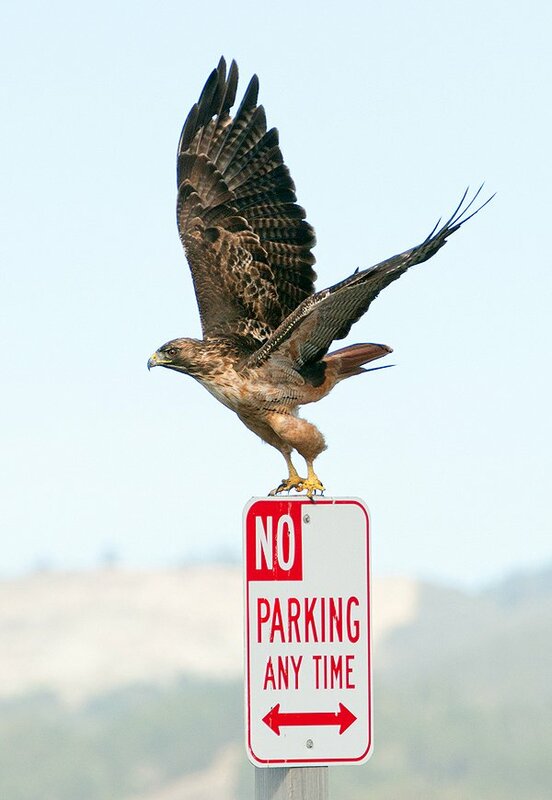 Or course a Red-tailed Hawk looks fearless but often they fly off at the slightest provocation. But they are nothing if not adaptable. 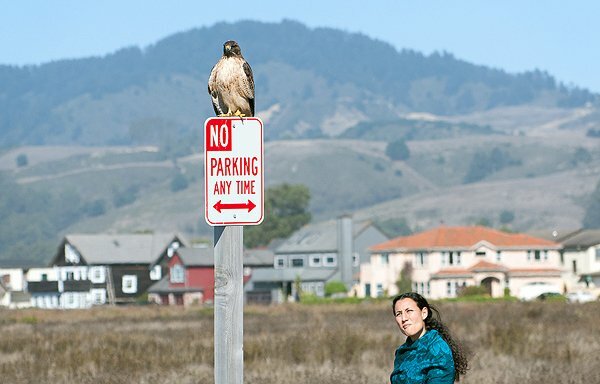 As birds adjust to urban environments they figure out what the real concerns are and play by a new set of rules. 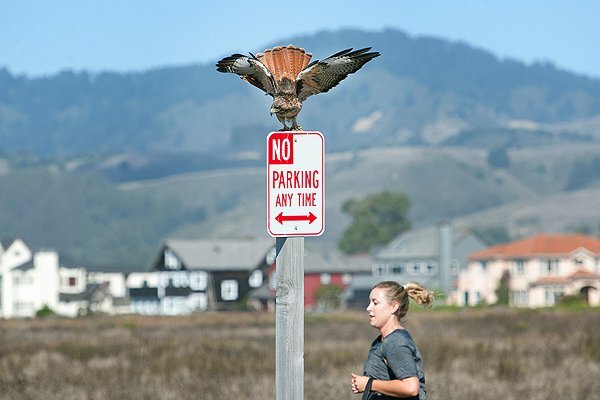 In Half Moon Bay there is a park that provides… gophers, voles, snakes, whatever suits your crop. It also provides ocean views and trails and draws many people too. So – what to do? Stay scared of people and miss out on the feast… or get over it and get your grub on. This hawk, for one, has decided that the eating is good and the living is easy so who cares about some slow moving bipeds who don’t notice you most of the time anyway. 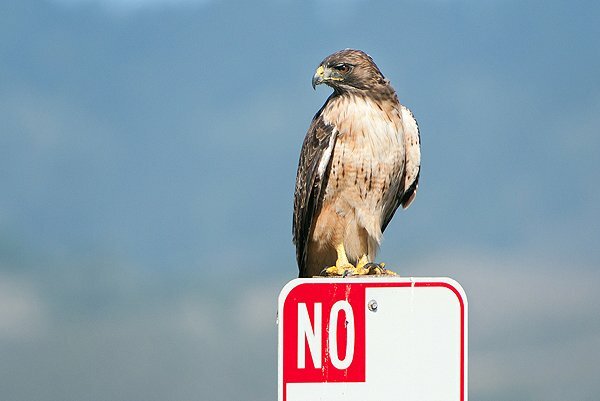 Mr. Hawk, care to comment on this matter? Well put. Simple and succinct. The people who do notice happen to be respectful and it shows. 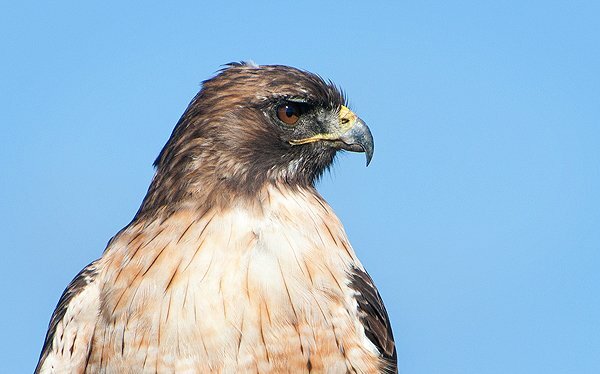 The Redtail has adjusted its danger threshold far enough to be completely unfazed. Even bikers, with their higher profile and clattery mechanisms, don’t provoke a fearful response from this calm and collected bird. Dogs on the other hand are the ones to watch. 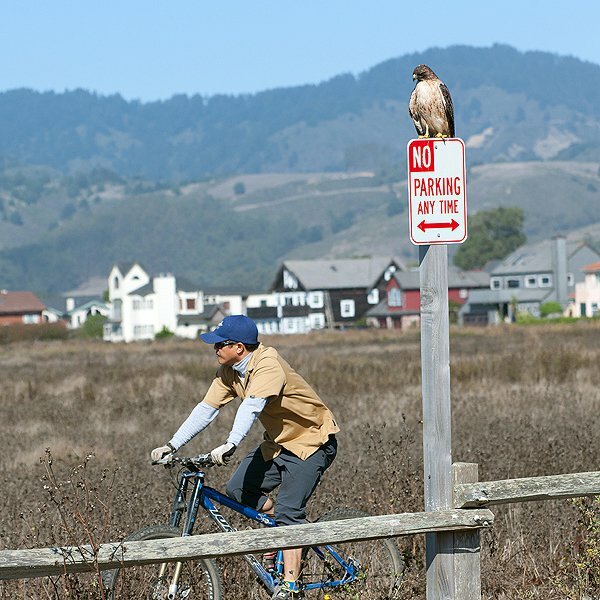 As long as they are on a leash and you keep a close eye on them… it just isn’t worth leaving such a primo perch. 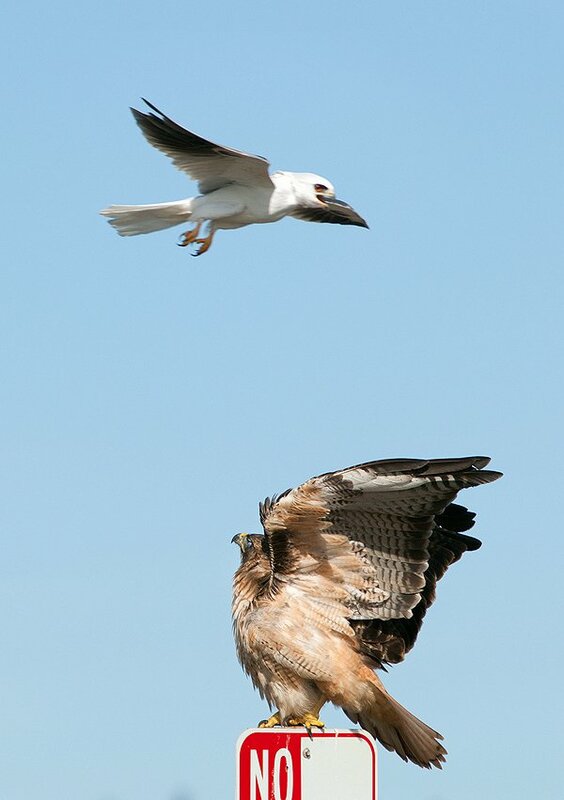 Even the resident White-tailed Kite voicing and demonstrating its displeasure isn’t enough to make him budge (“him” is a guess based on the bird’s size… just not quite big enough to convince me it was a female, even though there is certainly overlap between the sexes). He finally moved on when an off-leash german shepherd came bounding along a little too close for comfort. Threshold established. 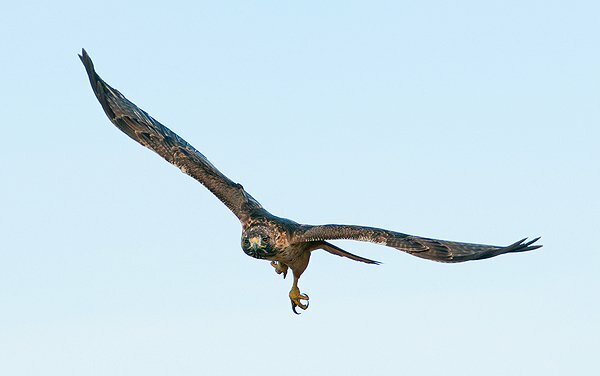 But fear of people was still a thing of the past as he flew right at me on his way out. He stuck around though and was rewarded with a snake for supper shortly thereafter. what a great study of her perspective! Walter, This is both fun and informative along with nice shots. Well done. A beautiful sequence, and I love your humor, too! very nice, chipmunks and deer do the same thing, the birds also get used to my presence up to a point. I have had deer walk right past me and my hubby while we were working on the tractor making some noise.I looked up and it was acting like it wanted to come up to us and say high or see what we were doing. it just casually walked away. so humans and animals can coexist without having to put humans into high density housing urban centers to protect wildlife.I was referring to wildlands project which is a map of agenda 21. Love these shots! “Simple and succinct” cracked me up.